This is a guest post by Jonathan Hine, an Italian to English translator who, since 2013, has been living on his bicycle while continuing to work as a freelancer. Now based in Italy, Jonathan first experimented with living and working on the road while riding through the southern US, then the Canadian Maritime Provinces (and on to the ATA conference in Chicago! ), and then through Italy, Croatia, Montenegro and Serbia. Jonathan’s perspective is a unique one, because his bicycle journey is not a sabbatical: he has configured his office to fit in his bike bags, and he works while on the road. This post originally appeared on his blog, The Freewheeling Freelancer. On that subject, I have to admit that I am not all that impressive as a cyclist. This week, the Freewheeling Freelancer was added to the open Facebook group, Bicycle Touring Websites. I already knew that there were many cyclists who ride more than I do. I was amazed at how many cyclists of all ages were riding around the world like cancer patient Walter Judson Moore, or toting their young families from Alaska to Tierra del Fuego, like the Sathre-Vogel family (www.familyonbikes.org). Granted, most are touring (going out and coming home, with work or school suspended), but there are hundreds of cyclists out there who are living on the road, with small children, spouses, pets, etc. And some of them have been out there for years. Some of them are following this blog, which I find very humbling. First of all, if you love to travel, then this life may well be for you. I mean traveling, not just being somewhere else. You have to be the kind of person who delights in the journey itself, with its setbacks and awesome moments of beauty. It helps if you don’t mind slipping the whole plan to stay someplace that has surprised you, or even change your destination. You don’t need to stay in a place that does not suit you, and you can tarry where you are welcome. Second, you might want to live on the road if the job you love requires it. You could be a musician, a travel writer, a lineman working for the power companies, a freelance oil engineer, a merchant seaman, or a yachting pro. I hope to introduce you to some of these people in this blog, but we will have to see whose paths we cross, won’t we? Not many of these people ride bicycles, except for the travel writers and photographers who write for the cycling magazines. But they travel light, and many don’t “go home” between gigs, cruises, jobs, or missions. Others, like schoolteachers and missionaries, choose to live abroad, tied to one place for one or more years, but always moving on, and traveling during their free time. Some have a place called “home” back where they came from; some do not. Third, you might have a hobby or a sport that requires that you travel to compete at the highest levels. Olympic and professional cyclists or other athletes come to mind, but so do randonneurs who seek to complete the full range of brevets in a year (visit http://rusa.org/ to learn about them). Such people are almost living on the road already, they see so little of their home bases. It’s not a great leap to organize one’s life to stay on the road, and not bother rushing “home” in between. Of course, there are a lot of variables in there, but you get the idea. Fourth, if you have often thought seriously of selling your house, or giving it to your children, and getting out of the suburbs or the city, or wherever you feel stuck, you might want to look into living on the road. Mind you, this is not something to be done suddenly and rashly. It helps if you have already taken very long vacations or tours and enjoyed being on the road, perhaps even felt wistful about coming home. It is a big step to leave “home” behind. But there are ways short of selling your house to test out this idea. Personally, I have not burned my bridges behind me, yet. My son lives in the house, and he wants to keep my car as a backup vehicle. My apartment downstairs is a guest flat when I am gone, so he can host professional musicians who come to our city for concerts. This week I just finished converting it from a one-person flat with home office, into a three-bed bunkroom, with a drop-down secretary for a visitor’s laptop and two empty sets of drawers. With this arrangement, I could stay away indefinitely, without losing the use of my flat if and when I return. If you are in career transition, this might be a good time to test living on the road. For example, someone recently coming out of the military or “retiring” after a career with a company could work abroad as an independent contractor for a year. There are many term employment jobs of three months or more in a wide variety of locations. Many of them should pay well enough to allow you to accumulate the necessary cash reserves to support a transition to life on the road after your assignment, especially if you train yourself to travel light. If you don’t like where you are working, you can use the time to figure out whether it is homesickness or a genuine dislike of your current location that is the problem. If culture shock and homesickness are not issues for you, you might enjoy living on the road. Finally, living on the road involves meeting many different and interesting people. You will not always like them all, but if you like meeting new people and getting to see a new point of view, I cannot think of a better way to do it. Wisdom and peace can come of such experience. Please feel free to comment and to share your thoughts about the subject of living and working on the road. Postscript from Corinne: Although nowhere near as ambitious as Jonathan’s rides, if you’re interested in bicycling in Europe you might check out my posts Lake Geneva to Salzburg by bike and Planning your own bike trip in Italy. Well done, Jonathan. It looks like you are taking full advantage of being a freelancer. One of the reasons I’ve chosen this profession was to be location independent. Thank you, Kasia. It works for me! Thank you Corinne, this post is extremely interesting! 1) Where do you sleep? 2) Where do you work? 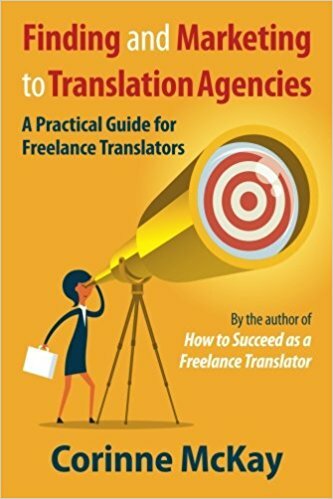 3) How many hours a day do you work as a translator? Thanks in advance if you wish to reply. I will also follow you on Facebook. 1) Any place I can put my head down. When the campgrounds and parks are open (April-October, I carry my camping gear on the bicycle. I make extensive use of hostels, hotels, motels, B&B, and staying with friends and family. 2) any place that I can open my laptop. That usually means the desk in whatever quarters I have, or a picnic table in the campground. In North America, I like to work at Starbucks. 3) funny that you should ask, because I just finished closing the financial year and calculating my hours this afternoon. Last year I averaged 20 hours per week. It was also the first year that I went three full months off-line. A lot depends on whether I’m riding between one place and another or staying somewhere for a while. On the road by myself, I typically work for 3-4 hours a day. When I stop somewhere, I work until the job is done, typically 6-8 hours a day. When I’m traveling with a friend, I may declare a vacation, and only work on my my own writing. That’s what I did last summer. Some things to remember include: most people are retired by now at my age, living on a bicycle has a very low overhead, I’m single (not responsible to anyone else), and I have a minimalist lifestyle (not many possessions to take care of). Not everyone can afford to get by on just 20 hours per week. It all depends on how much money you need to make to live the way you want to. The earlier posts in my blog (freewheelingfreelancer.com) will take you through the one-year journey that brought me to the situation I am in now. Thank you very much for your detailed reply! What an interesting life you’re living! It’s a great freedom not only to be able to cycle around the world, but also to work an average of 20 hours per week. I hope to get there when I’m retired 😉 I’ll definitely read the earlier posts on your blog to find out some inspiration. My current problem is that I’m overloaded with work, something I certainly don’t want to complain about, but my work-life balance is suffering from that. Thanks for the post! Any list of hardware/equipment one should have while on the move? Like portable wifi? Thanks! It depends on what you’re carrying it in. On a bicycle, I don’t have room for much more than my computer, a cigarette case sized backup hard drive, and my smart phone. I got a portable Wi-Fi USB dongles from US Cellular for my computer, but took it back the same day, when I found out that my smart phone would serve as a portable hotspot for up to 10 devices within 3 m.
If you’re going to travel on a motorcycle, a car, or tote a suitcase on a bus or train, you can take more things. If you do travel with a minimal hardware suite, as I do, you must have the best quality and capability you can afford. I learned the hard way to buy the most capable and durable computer I could find (I have a Microsoft surface 3 with a hard case around it) and to buy it directly from the manufacturer with a global guarantee. I spent the full $400 to buy my own telephone so that I would not be beholden to the various telephone companies. I also have a 3 GB data plan with my telephone. I have been grateful that when the WiFi goes off in a place that has it, I can put my phone in the window and get back online. IHTH. Thanks Jonathan! Can you add your tip about the cable that connects your computer to the hotel TV?